Oh I was going to do a year in review. I was going to do a 2012 prospectus (is that even the right word?). I had about several posts started in my brain, but then it all went kaflooy and instead I give you the final review of the year. 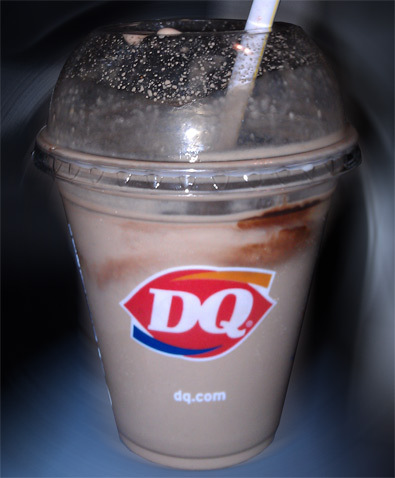 Did you know DQ does Malts and not just shakes? It's nothing too fancy. It's just a bit less milk and a bit of malt powder mixed in. I took a swig and it is indeed thicker, and thankfully, the malt flavor was mild and supportive. I enjoyed my small and we headed home catching some early evening fireworks in the distance.